My jaunt through the vineyards, cantinas, trattorias and castellos of Conegliano Valdobbiadene is sadly at an end. The festivities culminated in a lovely closing dinner with much merriment. The old, low beamed roof creaked under the weight of hundreds of old copper pots hanging from the rafters. The Prosecco DOCG was flowing freely and when we asked the charming Ernesto from Marsuret winery what the locals drank other than Prosecco, he cried “Grappa”…at which point liveried sommeliers arrived with snifters of the fiery golden liquid. Over the past two days we have been visiting wineries. From mid sized family affairs to gigantic operations with massive, 200hL tanks gleaming out in the sun. 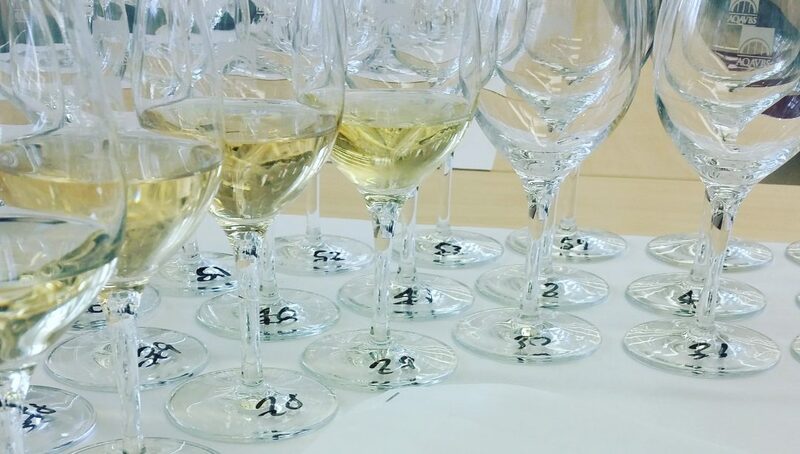 Over the course of our conversations and tastings the difference between entry level Prosecco DOC and premium Conegliano Valdobbiadene Prosecco Superiore DOCG became increasingly apparent. Much of what we are exposed to on international markets is the entry priced, aggressively frothy, candied peach and pear scented concoctions served at cheap banquets and sold on promotion in supermarkets. The finer examples of Conegliano Valdobbiadene Prosecco Superiore DOCG shine in comparison. When you see the steep hillsides, worked entirely by hand around Valdobbiadene, with only half the yield of the flat plains of Prosecco DOC, it is easy to understand why. The best of the best have much finer mousse, only faintly frothy on the palate, with delicate floral, zesty apple and ripe pear aromas. On the palate, subtle spiced notes of aniseed or ginger are common. Some even offer attractive hazelnut or mineral undertones. From crisp, bone dry “Extra Brut” to overly fruity “Dry” styles, the best DOCG Proseccos offer balance. The sugar is offset by fresh acidity and vibrant bubbles, with none of the cloying sweetness on the finish. Prosecco DOCG “should taste like spring time” proclaimed Canavel’s Carlo Caramel (yes that is his real name). This neatly sums it up for me. Prosecco is meant to be drunk young, in the year following production. Though we did try a few intriguing 2014s with nutty, honeyed profiles, by and large the wine is not meant to age. 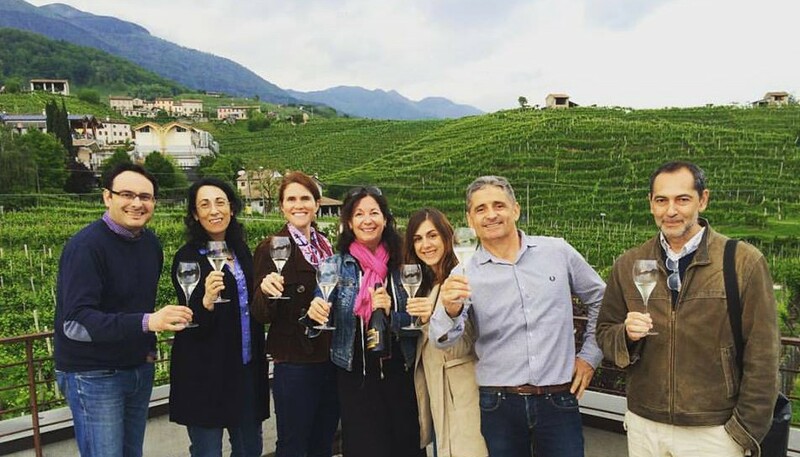 Although made up to high quality standards, Prosecco DOCG does not take itself too seriously. It is bottled young and fresh, and should be drunk upon purchase…preferably on a terrace, with good tunes and great company. A couple of parting words of advice: It is worth spending 10$ more and trying one of the best on offer in your local liquor store. After all, it is still far cheaper than many other bubblies. Look out for quality cues on the label like DOCG (the higher quality appellation level), and within this category: “Rive” (single vineyard – the word is always followed by the name of the hamlet), and the finest terroir “Cartizze”. Never admit having mixed DOCG Prosecco with orange juice to a local. The long silence that follows can get a little uncomfortable. Don’t suggest that the catchy little appellation name “Conegliano Valdobbiadene Prosecco Superiore DOCG” could somehow be shortened to give it more international appeal. It is just fine as it is. If you see just Valdobbiadene DOCG on the label, with no mention of Conegliano (or vice versa), don’t ask why. The feud is centuries old. Drive the Prosecco wine route. You will not regret it. It is stunningly beautiful. Take some gravol first though! Don’t eat risotto for at least a month or two before your trip. You will eat A LOT of it. Beautifully creamy, with wild herbs or asparagus; utterly delicious but omnipresent.